कंगना रनौत की गुजराती सिमरन ! Since Bhai-fever is firmly in the air with Sultan, keeping with its batty tradition, Y-Films brings you two Behens to feverishly follow! 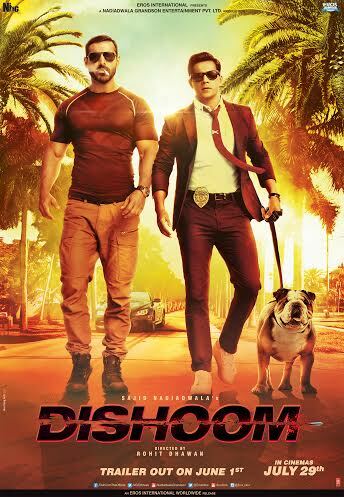 The wackiest Indian series to premiere on the internet, Ladies Room will have two of the wildest YRF characters, the bffs (Best Friends Forever) Dingo and Khanna, setting the internet on fire with their crazy antics. Two episodes from the series are now out on the Y-Films YouTube channel for free, and a new episode will follow every Tuesday. Starring two actresses from the YRF talent roster in its lead, the talented Saba Azad, last seen in Y-Film’s Mujhse Fraaandship Karoge and more recently ‘The Big Date’ on Love Shots and an electrifying new find, Shreya Dhanwanthary, the two soul sisters, or, err, dil-se-behens, behave - and misbehave - in a way you’ve never seen in Bollywood so far. These girls are mad, bad and completely unapologetic about it! The series shows two modern young ‘girl bros’ struggling to grow up even as they grow old, as we follow their mental adventures in six loos. 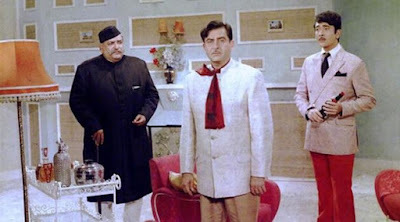 Episode one of the series has the two girls getting caught by a cop in a train loo with some unlawful maal while episode two follows the behens as they have a loo disaster in the apartment where Dingo’s been living illegally. In the next four episodes of the six episode series, the show will tackle issues ranging from unwanted pregnancy to unwanted d**k pics, and boldly go where no man has gone before, living up to its tagline in more ways than one! The series is directed by Ashima Chibber, whose directorial debut was the hilarious critical and commercial hit, Mere Dad Ki Maruti. The comedy features the writing of Ratnabali Bhattacharjee and Neha Kaul Mehra and holds the singular feat of never showing men in their entirety. Ladies Room is the third Y-Films original series after the hugely success Bang Baaja Baaraat, which was recently nominated at the Series Mania Festival in France, and Man’s World, which was made in association with the United Nations’ Global Goals for Sustainable Development. The two series have garnered over 20 million views on YouTube so far and Ladies Room promises to follow in their footsteps! The first two episodes of Ladies Room are OUT NOW on www.youtube.com/yfilms. Mia By Tanishq is the presenting sponsor of the series. 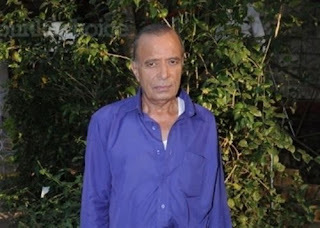 Babuji (Rajendra Gupta) goes to watch a movie with his entire family and on returning, they find a lot of money kept in their house, catching all the family members by surprise and unaware. Meanwhile, they hear a minister giving a speech about ‘black money’. Suspecting a connection between the two, the family members go to the minister and let him know about the money. 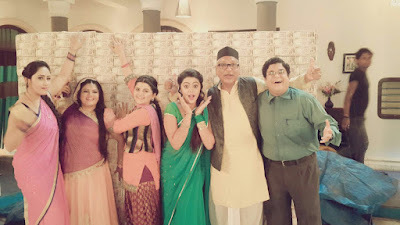 Meanwhile the family members of Chidiyaghar are very ecstatic about finding a huge amount of money and find unique ways to spend it. Balwan and Girbal who are taking a stroll in the market find Koyal (Aditi Sajwan) and Mayuri (ShafaqNaaz) shopping and donating 1000 rupees to a beggar and find their behavior suspicious. The two then try to steal the money, but the minister arrives there in the nick of time and stops them from doing so. Will Babuji and the members of Chidiyaghar be able to find the rightful owner of the money? 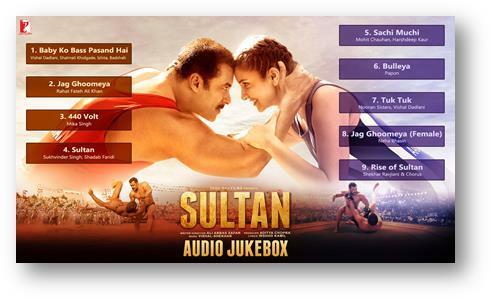 Yash Raj Films’ Sultan Ka Zabardast Music OUT NOW! Here's presenting the Audio Jukebox full of fun and melody with 9 special songs! YRF’s Salman Khan and Anushka Sharma starrer ‘Sultan’ has been touted as the most promising film of the year. While Sultan’s trailer has become very popular with over 11 million views, it is now time for a special treat for all to enjoy the music album of Sultan which releases today! Sultan’s music album is an elaborate and melodious amalgamation of folk, local, and popular music with India’s most celebrated playback talents singing for the film. Vishal- Shekhar compose for Salman Khan for the very first time, and keeping with the Yash Raj Films tradition of eternal film music, Sultan has a varied and interesting collection of 9 songs. Irshad Kamil has penned the lyrics of this winning album! Here’s a sneak peek in each of these numbers that appear in the film at crucial points. Baby ko Bass Pasand Hai: A typical peppy number by Punjabi pop star Badshah, this song has the enthusiastic Sultan woo Aarfa by gate crashing a wedding. Vishal Dadlani, Ishita and Shalmali Kholgade also join in this peppy track. It’s a foot tapping number that will make you want to dance wherever it plays! Jag Ghoomeya: A romantic, gentle rendition by Rahat Fateh Ali Khan, this is a folk composition that talks about the purity and spirituality of true love. 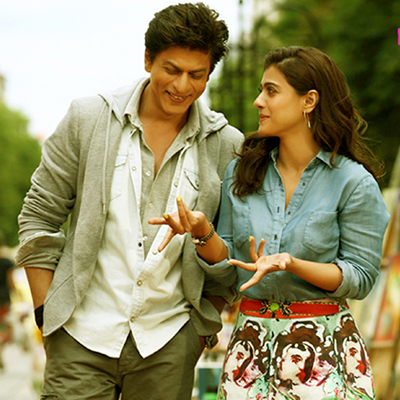 Meaningful and melodious, this song touches your heart with its sound. It also has a female version titled the same Jag Ghoomeya by Neha Bhasin . 440 Volt: Energetically crooned by Mika Singh, this high octane song delves into a love struck Haryanvi wrestler’s imagination. Sultan’s journey of falling in love is the crux of this catchy number. Sachi Muchi: In the soulful voices of Mohit Chauhan and Harshdeep Kaur, this song focuses on two equals falling in love. It’s deep but happy and fun filled; and is unique as it is about love that emerges from their profession of wrestling and their life choices. 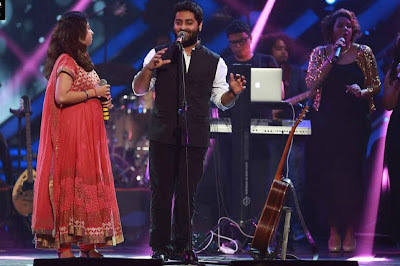 Bulleya: Sung by Papon, whose ‘Moh Moh Ke Dhaage’ for YRF’s ‘Dum Laga Ke Haisha’ is one of the most mellifluous numbers of 2015, this one is a heart touching qawwali about unrequited love. Poetically exploring the pain of longing and separation, this song has a pure and classic feel to it. Tuk Tuk: A song about the celebration of life, Nooran Sisters and Vishal Dadlani sing about getting up from low phases and fighting back. It’s about life, in short. Rise of Sultan and Sultan: The thumping title track that has already become popular with the trailer. 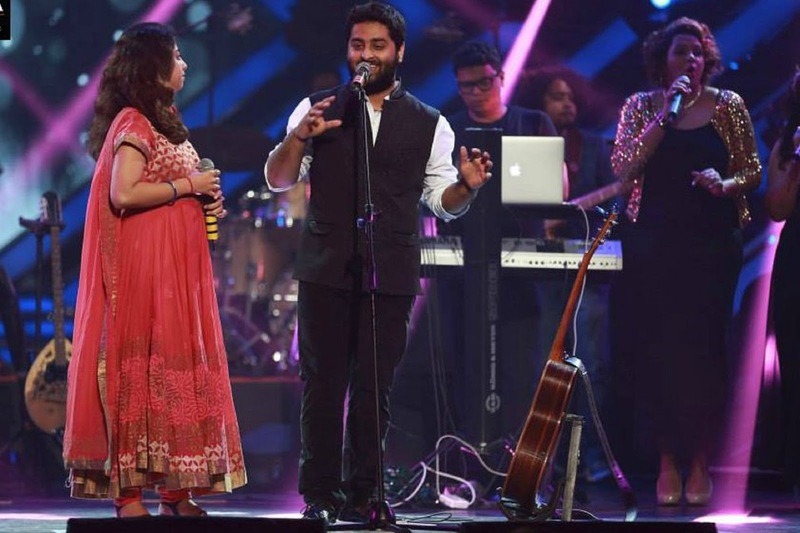 Shekhar Ravjiani and a chorus sing about the film’s central theme. It’s about rising against all odds and fighting difficulties from within. The haunting and extraordinary track Sultan by Sukhvinder Singh and Shadab Faridi completes the music album! This song brings to life the physical and spiritual transformation of the film’s central character. Produced by Aditya Chopra and written-directed by Ali Abbas Zafar, Sultan will release this Eid 2016. 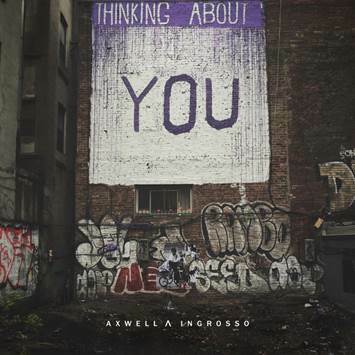 Axwell Λ Ingrosso have revealed their brand new song; a huge, piano driven, vocal anthem, ‘Thinking About You’. The song sees the duo continue their reign as one of the driving and most creative forces in global electronic music. They will headline Gothenburg’s Summerburst festival this weekend, beginning an entire summer of tour dates, including headline slots at Creamfields, EDC Vegas, EDC UK, plus a reprisal of their weekly residency at Ushuaïa Beach Club, Ibiza. 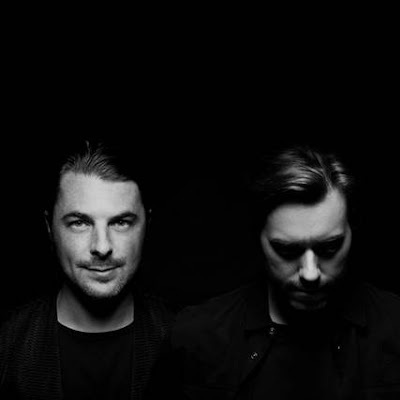 The iconic reign of Axwell and Sebastian Ingrosso took new heights in the form of Axwell Λ Ingrosso. The duo have been embraced by tastemakers, luxury brands and adoring fans across the continents, a culmination of Grammy Nominations, DJ Mag Top 100 chart success and back­-to-­back Billboard and Beatport chart accession has seen the duo garner huge attention from across the globe. Kick starting with a first collaborative appearance at Governors Ball in New York in 2014, debut single ‘Something New’ kick started the project with a bang, with subsequent singles ‘On My Way,’ ‘Can’t Hold Us Down’ and ‘Sun Is Shining’ put the Stockholm ­based crusaders back on the radio airwaves whilst keeping their main stage activity in full flow. The Pusha T assisted ‘This Time’ spelled an experimental twist with a charitable edge for the UNHCR from the all-­star act at the back end of 2015, leaving instrumental landmark ‘Dream Bigger’ to kick start 2016 for the duo. From landmark appearances at Coachella, V Festival and Electronic Daisy Carnival and a weekly summer residency at the prestigious Ushuaia Ibiza under their belts, the year ahead spells more high profile activity for two Sweden’s hottest musical exports of the last decade. After a successful run of its first season, India’s most sought-after lawyer KD Pathak is all set to make a comeback with season 2 of Adaalat starting June 4 at 8 p.m. In today’s day and age where people have easy access to information, trial by media and public in general is at an all-time high. Verdicts are passed too soon and rarely is there an effort to look beyond what appears. Hence this season, Adaalat intends to reiterate the role of the court of law. It will emphasize on the thought ‘Raay rakhne ka adhikaar sabko hai par nyaay karne ka sirf Adaalat ko’ which means while everyone is entitled to his/her opinion, only the judicial system has the right to pass a verdict and thereby deliver justice.Produced by Contiloe Pictures, Adaalat -2 will feature gripping stories where the verdict is given basis facts and after thorough investigation. 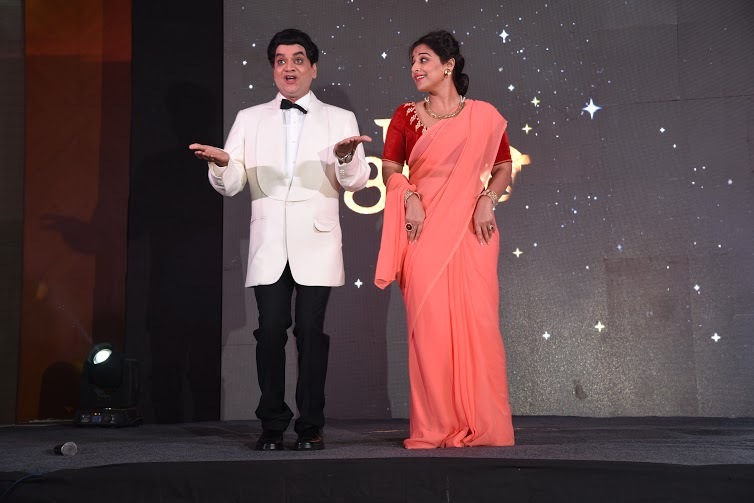 Always walking on the path of justice, KD Pathak, has an eye for detail and this season we will see the suave and witty lawyer fearlessly solving intriguing legal cases and continuing with his mission of ensuring that justice prevails While the talented Ronit Roy dons the avatar of KD Pathak, the show will also see popular actors play crucial roles. 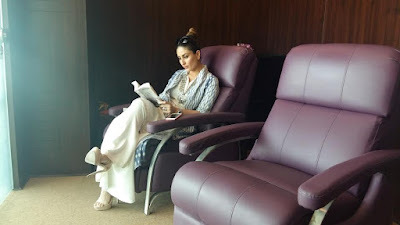 Tisca Chopra, Rakshanda Khan, Amit Tandon, Samir Dharmadhikari, Anand Goradia amongst others will be seen playing public prosecutors fighting against Ronit. "In our endeavor to deliver quality content, we are happy to bring a new season of Adaalat. The show promises thriller episodes which resonate with our viewers." The first song from this year’s most awaited film, Yash Raj Films’ Sultan, is here!! Badshah’s popular renditions have become chart busters recently. And with Vishal Dadlani, Ishita and Shalmali Kholgade joining him in this high energy number, #BabyKoBassPasandHai is set to be the chartbuster of 2016! Choreographed by Farah Khan and picturised on Salman Khan and Anushka Sharma, Sultan Ali Khan gate crashes a wedding to woo the woman of his dreams, the wrestler Aarfa (Anushka Sharma) in this colourful and peppy number! With a rustic setting, this song is the first to release from Sultan’s rich and elaborate album. Sony MAX, India’s premiere Hindi movie channel recreates the nostalgic love of the most iconic on- screen couple by bringing to the fans, Shah Rukh Khan- Kajol starrer, Dilwale premiering on Sunday, 5th June at 8 pm. High on emotions, action and comedy, Dilwale brings out gravity-defying action sequences and rib- tickling comedy at its best. Madhur Bhandarkar recently announced that he is all set to make his most ambitious project which will be based during the era of 1975 emergency. Whereas on one hand where Madhur's project is still in pre-production stage Pehle Aap Motion Pictures is all set to release their Maiden project San ​Pachattar​, which is based on the era of Emergency.
" Emergency period lasted from June 1975 to March 1977 and is one of the darkest period of Indian History. We learn true lessons of life only from history and I decided to make a film based on some unknown and uncovered events during the period of emergency. It's a fun film and is entertaining and stimulating at the same time. Its not preachy and heavy like most films have been on the supposed unfortunate event of our recent memories. The style of editing and background score makes it edgy. It is a very well balanced film keeping both entertainment and sensibilities in place and will teleport you instantly to the 70's. It's sensible yet is entertaining and rambles us into a trip. It will infuse some innovative freshness to our spectrum of movies and is the way forward. I remember The great Neil Armstrong quoted - a small step of man on moon and a giant leap for mankind. I would say it's just ballsy. 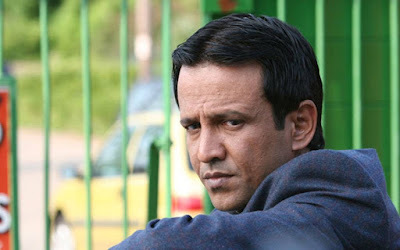 To do real justice to the role, who better than Kay Kay Menon.. He is probably the best we have and is a true artist in all senses. I am delighted and blessed that he agreed to take on the challenge yet again and this time he has surpassed the apogee of performance ever being achieved in Indian celluloid. He reinvented it and made the character more dynamic by adding his style and nuances. We are gonna witness some awesomeness" says the producer Kabir Lovee. P. S. Kay Kay will devour us!!!
" Th​​e film is absolutely a visual and audio symphony. 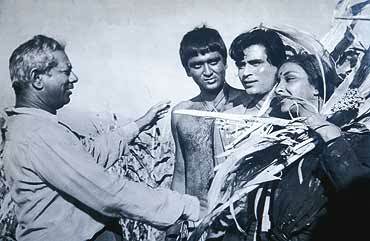 It is the first true Political Period Thriller of Indian Cinema. I am happy I am a part of this film and played the most layered and myriad character of my career till date. It took me nearly six months to get into the skin and psyche of the character and to get the crasis right. Says Kay Kay Menon. San' ​​Pachattar​ ​is a stepping stone into the genre of Period Thriller, which has never been explored and carries a huge youth connect. 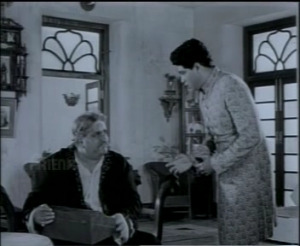 The film’s plot revolves around a deal of the first mobile phone (prototype) being brought in India with emergency in the background. 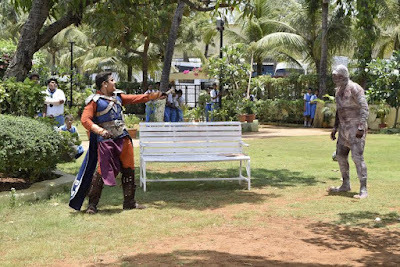 Excitement levels will be at an all-time high in SAB TV’s Baal Veer, as the plot will thicken and lead to the revelation of some interesting twists. Manav (Rudra Soni) dreams of a mummy trying to hurt him. In class, when he is interrogated about Egyptians, he answers without hesitating. Meanwhile, Shatir Pari conspires against Baal Veer (Dev Joshi) and gets a mummy back to life, only to realize that Manav was an Egyptian prince in his previous birth and is now seeking vengeance. In an elaborate plan, Shatir Pari gets the mummy to its original look and sends a fake mummy to distract Baal Veer, so that Manav can be kidnapped and killed. The real mummy manages to kidnap Manav and in the process, hurts Baalsakhi, who then gets hypnotized and helps to plot along with the mummy to kill Baal Veer. Meanwhile, Baal Veer, in a discussion with the paris finds out that the mummy can be killed only during a solar eclipse. Therefore, Baal Veer, with the help of Manav and the paris, chalks out an intricate plan that’ll kill the mummy and save Baalsakhi from his clutches. But, will their plan work? Will Baal Veer and Manav be able to tackle this obstacle and save the day again? To find out, tune into Baal Veer, from Monday to Friday at 8pm, only on SAB TV. An upward journey which started as being an Assistant Director on the Hindi film 'Vivah' in 2006 finally reached being the Producer of a Marathi film in 2014, such is the story of Landmarc Films' Vidhi Kasliwal. After writing and directing Rajshri's ‘Isi Life Mein...!’ a Hindi feature film in 2010, she produced the Marathi film ‘Sanngto Aika...!’. 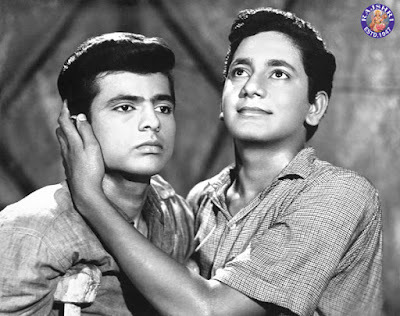 It was indeed a 'landmarc' having a stellar ensemble cast which included the all rounder Sachin Pilgaonkar, helmed by the talented director Satish Rajwade. It was a complete package with a superb star cast, great humour, a thought provoking subject and awesome direction. And credit for the same goes to Landmarc Films. Next Vidhi Kasliwal is getting all set to launch her new venture... ‘Vazandar’ with another exciting subject and an equally talented star cast. Director Sachin Kundalkar, well known for dealing with unique topics in his films, has come up with yet another compelling story. Commenting on the same Vidhi said, “Vazandar was a very personal subject that Sachin had and it instantly struck a chord with me. Its development has been such fun - a truly collaborative process. Sachin is a very sensitive and sharp person who open-mindedly takes all suggestions and beautifully weaves them into the layers of the film." Right from the time the shooting began, 'Vazandar' has been the talk of the town. 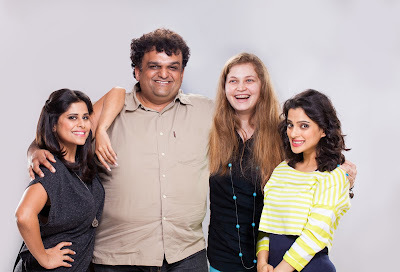 It brings the coming together of the stylish Sai Tamhankar and the spunky Priya Bapat. Along with Siddharth Chandekar, Chirag Patil and Chetan Chitnis in important roles. Even in the role of producer, Vidhi Kasliwal has never let the responsible citizen in her vanish. With every film she keeps the responsibility of giving her audiences hope in mind, same in the case of ‘Vazandar’. The film is on the verge of completion and Landmarc Films is gearing up for it. रियलिटी शोज़ के किंग प्रिंस नरुला अब एक कदम और आगे एक्टिंग में भी तहलका करने जा रहे हैं।प्रिंस हिट रियलिटी शो रोडीज़ से प्रेरित हास्य वेब सीरीज 'सोडीज़' से एक्टर के रूप में एन्ट्री ले रहे हैं।इस सीरीज में मुख्य भूमिका में बाबा सहगल नज़र आएंगे।'सोडीज़' एक हँसा-हँसा के लोटपोट कर देने वाली वेब सीरीज है जिसमे दिल्ली की एक सोडीज़ फैमिली की कहानी है जिनकी ज़िन्दगी का सिर्फ एक मिशन है कि किसी भी तरीके से उनके परिवार का कोई भी मेम्बर रियलिटी शो रोडीज़ में पहुँच जाए।शो के एक एपिसोड में प्रिंस, रोडीज़ के अधिकारिक ट्रेनर के रूप में नज़र आते हैं जो सोडीज़ फैमिली के मेंबर्स को ट्रेन करने के लिए आते हैं जिससे सोडीज़ रियलिटी शो रोडीज़ के परफेक्ट कंटेस्टेंट बन सके।जब प्रिंस से उनके इस अनुभव के बारे में पूछा गया कि उन्होंने अपने एक्टिंग डेब्यू के लिए 'सोडीज़' में स्पेशल कैमियो को ही क्यों चुना तो उन्होंने बताया," मुझे 'सोडीज़' की स्क्रिप्ट बहुत पसंद आयी, स्क्रिप्ट को एक रियलिटी किंग की ज़रुरत थी और वह मुझसे अच्छा कौन हो सकता था।इस शो में यह देखना बेहद मजेदार होगा कि कैसे सोडीज़ को रोडीज़ में पहुँचने के लिए प्रोफेशनली ट्रेन्ड किया जाता हैं।मुझे शूट के दौरान बहुत मज़ा आया।मैंने एक पूरा दिन टीम के साथ बिताया और यह बेहद दिलचस्प रहा।शूटिंग के दौरान हर सीन इतना फनी था कि हम खुद पेट पकड़-पकड़ कर हँस रहे थे।मुझे उसी समय समझ आ गया था कि जब हम सब का हँस-हँस कर यह हाल है तो ऑडिएंस तो शो को देखकर मैड ही हो जायेगी। 'सोडीज़' की टीम के साथ शूट पर बिताया वह दिन मेरी लाइफ का आज तक का बेस्ट दिन है।वास्तव में मैं इस टीम को बहुत मिस करता हूँ।"
Banjo, produced by Eros International and directed by Ravi Jadhav starring Riteish Deshmukh and Nargis Fakhri releases on 23rd September. "I must admit I'm pleasantly surprised," replied India’s answer to Walt Disney who will visit San Francisco and receive an Honorary Doctorate from his alma mater, Academy of Art University, on May 23, 2016. 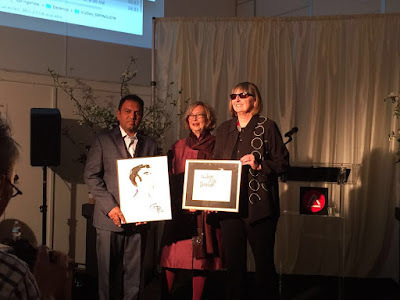 (May 29th, 2016, San Francisco) President of Academy of Art University, Dr. Elisa Stephens honors alumnus Rajiv Chilaka of Green Gold Animation TV Pvt. Ltd, based in Hyderabad, India. 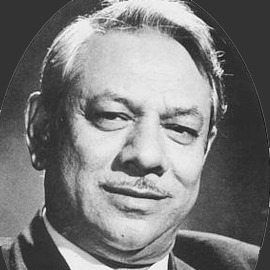 Chilaka, known as “the animation poster boy of India,” has been acclaimed for his ground-breaking contribution to the Indian animation industry. India, with a population of 1.3 billion, includes 50% of that number under the age of 25, resulting in a large audience, ripe for Chilaka’s adventurous and morally appealing cartoon characters. As an honored guest of the Academy, Chilaka is attending the University’s annual Spring Show to review Animation students' work. He will also interview candidates interested in joining Green Gold Animation Pvt. Ltd, the animation studio best known for Chilaka’s famed character, Chhota Bheem. Launched in 2008, Bheem is the most popular character to come out of the “Green Gold” stable. Bheem was created because, “There weren’t many Indian cartoons that catered to the Indian audience below the age of 14 years, so we decided to come up with an ideal character that could teach good values to children,” says Chilaka. The loveable character Bheem, watched by 40 million children weekly, appeals to young and old alike, with some of the highest consistent television ratings across India. Chilaka credits his success to his time at Academy of Art University. He was inspired by Walt Disney’s success, even visiting the places in Kansas City where Disney used to live and work. With expertise gained at the Academy, Chilaka returned to India in 2000 to realize his dream. Today his studio employs over 400 animators and has created a successful franchise of 25 Green Gold retail stores across India. Popular branded products include “tiffin” lunch boxes, toys, water bottles, and food products, such as fruit drinks and wafers—all sporting the series’ characters. While in San Francisco, Chilaka looks forward to sharing Green Gold Animation Pvt. Ltd’s most recent animation reels, including scenes from the January film release of Chhota Bheem, Himalayan Adventure. For further information about Rajiv Chilaka and Green Gold Animation Pvt. Ltd, or Academy of Art University please visit www.greengold.tv and www.academyart.edu . Academy of Art University is the largest accredited private art and design university in the nation. Founded in 1929, the school offers accredited AA, BA, BFA, BS, B.Arch, MA, MFA, and M.Arch degree programs in more than 30 areas of study, as well as continuing art education, pre-college art experience programs, certificates, and teacher grants. Classes are available in Acting, Advertising, Animation & Visual Effects, Architectural Design, Architecture, Art Education, Art History, Art Teaching Credential, Automotive Restoration, Costume Design, Fashion, Fashion Journalism, Fashion Marketing, Fashion Merchandising, Fashion Product Development, Fashion Visual Merchandising, Fashion Styling, Fine Art, Game Development, Game Programming, Graphic Design, Illustration, Industrial Design (Transportation, Toy, & Product Design), Interior Architecture & Design, Jewelry & Metal Arts, Landscape Architecture, Motion Pictures & Television, Multimedia Communications, Music Production & Sound Design for Visual Media, Photography, Social Media, Studio Production for Advertising & Design, Visual Development, Web Development, Web Design & New Media, and Writing for Film, Television & Digital Media. Students can also enroll in flexible online degree programs in most areas of study. Academy of Art University is an accredited member of WSCUC, NASAD, CIDA (BFA-IAD, MFA-IAD), NAAB (B.Arch, M.Arch) and CTC (California Teacher Credential). Visit www.academyart.edu to learn more about total costs, median student loan debt, potential occupations and other information. About Green Gold Animation Pvt. Ltd.
Green Gold Animation Pvt. Ltd has pioneered the exciting, new era of Animation in India -- that of homegrown content for children and is today the leading content provider to many of the major kids TV channels across India and Asia. Green Gold’s Chhota Bheem has been the most watched animated show in the country for the last 8 years (followed by 72% of Indian Kids) and has gone on to become the biggest Kids brand in India and #2 Kids brand in Asia. Green Gold Animation Pvt. Ltd clearly established itself as a leader in producing Original Indian Animated Content and it is also the only Indian Animation company to diversify itself into Licensing & Merchandising, Branded retail stores, Digital Media, and Theatrical Movie Production. Green Gold TV Pvt. Ltd has a thriving and a rapidly growing animated library of 17500+ minutes (580 TV episodes, 67 TV movies & 4 Theatrical movies). Green Gold TV Pvt. Ltd is a highly enthusiastic talent pool of 405+ members. 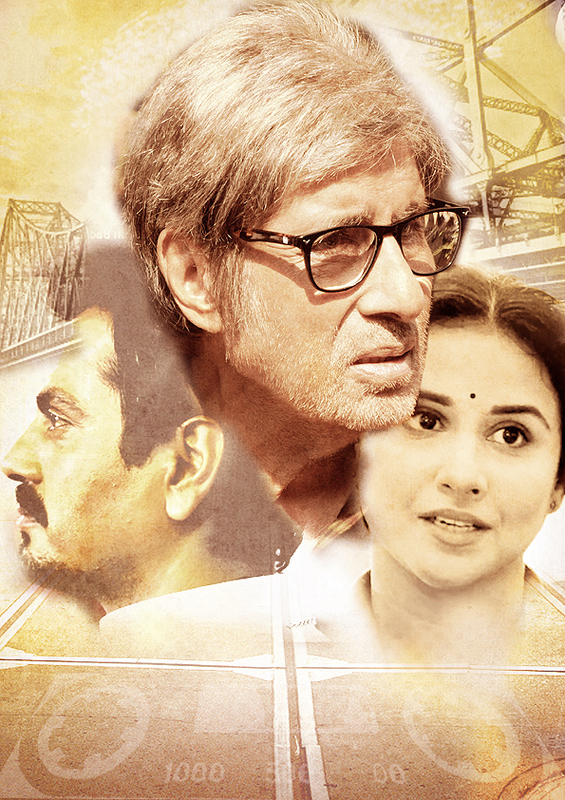 Vidya Balan Designs and submits personalized poster entry for TE3N!! On 10th June, the Power of Three will be unleashed as the formidable trio of exemplary actors , Amitabh Bachchan, Nawazuddin Siddiqui, and Vidya Balan in a pivotal guest appearance will be seen together in Ribhu Dasgupta's emotional thriller TE3N.Amitabh Bachchan and the team had earlier launched a special initiative to involve the fans by asking them to take part in all levels of promotions like the posters, music, information, games etc!! There are multiple options for the audience to take part in the 'Te3n it around' campaign, like creating the posters for TE3N, choosing the first song they want to hear/see, choosing what kind of a game they want to play!! With the campaign garnering a phenomenal response already with entries from all over India, we learn that Vidya Balan too has submitted a special poster designed on her own, to the team!! She came with an unusual design as is seen in the artwork and has sportingly also submitted the same as an entry for the contest! Well, looking at the poster, which aesthetically highlights all the components of the trailer, we must say it’s quite creative and striking, perhaps unlocking a hidden talent of the powerhouse actress? Endemol Shine India , Reliance Entertainment, Cinemaa, Kross Pictures and Blue Waters Motion Pictures, have come together for “TE3N”, which releases worldwide, June 10, 2016. After the success of his recent release, Randeep Hooda is all set to interact with his fans live on Tuesday, 31 st May’16 between 4pm to 5pm. Reliance consumers can call on 53031666 now &amp; register themselves to talk with Randeep live. 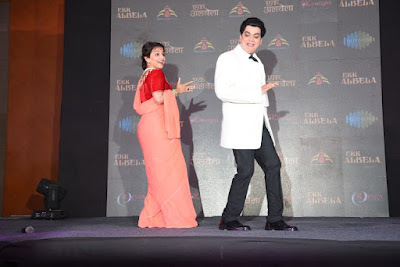 The event is conducted by Shemaroo Entertainment Ltd. His fans have a fabulous opportunity to connect to their favourite star andReliance users will be charged Rs 30/- only per month for “Reliance Star Talk Service”. Reliance mobile and Shemaroo Entertainment Ltd have been doing such events since long now and “Reliance Star Talk” is one among the successful initiatives by the companies. It is conducted every month for the consumers. Shemaroo has managed more than 100 Star chats over the years with various telecom operators including names like Madhuri Dixit, Sonam Kapoor, Ajay Devgan, Arjun Kapoor and many more. So what are you waiting for? Connect to your favourite stars. Subscribe “Reliance Star Talk” today! Riteish gets mucky for Banjo! Riteish Deshmukh is not letting anything come in the way of his performance in Banjo, National award-winning film maker Ravi Jadhav's Bollywood debut. The actor who is ready to give it his best for the film recently shot in a sewer for the introductory sequence. “Banjo artists have been a part of Mumbai's landscape for the last 100 years but they have never gained respect for their art. It's a tough job as they usually start playing from morning and go on till midnight without much rest. We wanted to portray how our hero, a Banjo player from the slums, rises with his art. Most heroes arrive on the screen on bikes, cars or horses, mine will emerge from a gutter, “says Ravi. Riteish who is currently busy promoting Houseful 3 with co-stars Akshay Kumar, Jacqueline Fernandez, Abhishek Bachchan and Lisa Haydon spent days learning the instrument before hitting the sets. Was he sceptical about getting down and dirty in a sewer? “I believe in shooting at real locations. It lends authenticity to a film. Banjo is no different. Riteish was onboard ever since I shared the idea with him, and had no reservations about shooting it either. The entire sequence, shot in Worli, was wrapped up in two hours, “adds Ravi who is now busy with the post production of the film, produced by Eros International. 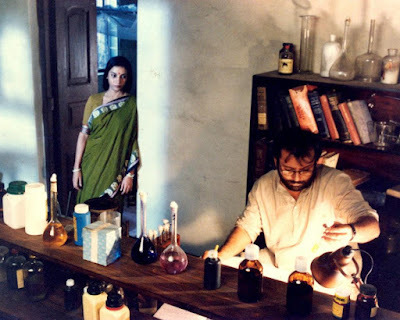 According to Ravi, precautions were taken before the final shot. 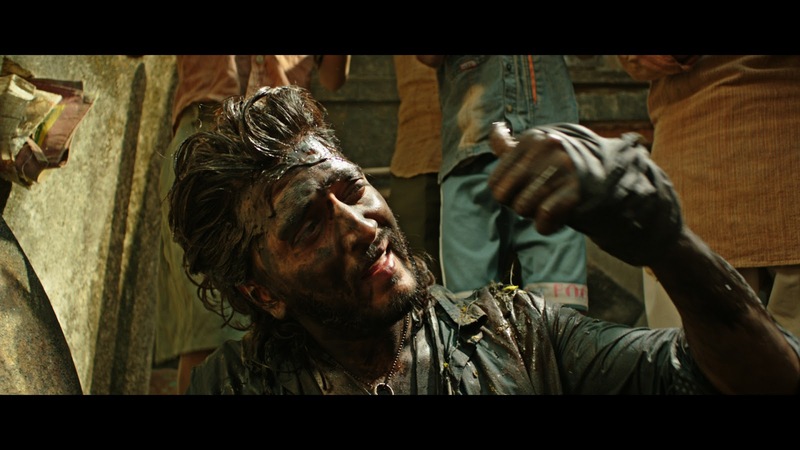 “While we have a doctor on the sets at all times, Riteish was smeared in oil so the grime would come off easily. He has worked really hard on the film, “he asserts. The Global Indian Music Academy is all set to kick-start their exciting new digital initiative- ‘GiMA 101 Lessons’, which will feature leading Indian musicians such as Hariharan, Arijit Singh, Monali Thakur, Kanika Kapoor, Neha Kakkar, amongst many others who will be providing nuggets of wisdom to their fans, music enthusiasts and aspiring musicians all over the world to hone their skills! The initiative seeks to be a way to teach aspiring young artists to grow their talent from the personal experiences shared by these talented musical stalwarts. Launched at the 6th GIONEE COLORS GiMA AWARDS stage by Indian playback and ghazal singer Hariharan, this concept will showcase highly acclaimed artistes and musicians sharing their knowledge on how to better their skills with valuable tips and tricks as well as practice techniques which are of utmost importance to make it big in the music industry. With the first webisode all set to be released on 4th June, this series will be the beginning of an awe-inspiring journey through the life and lessons gained by some of the most renowned musicians in the industry. So, make sure you log on to the GiMA YouTube channel ((https://www.youtube.com/user/GIMA)) and watch our leading musicians don the teachers’ and tutoring the young talent in the country and all over the world. The sizzling and gracious Shilpa Shetty will be seen in Sony Entertainment Television’s upcoming reality show India’s Super Dancer. The show will provide a platform to children in the age group of 5-13 to showcase their talent. Confirming the news, Shilpa says, “We are looking for the future of dancing in India’s Super Dancer on Sony Entertainment Television. Dance is my passion and I love kids. So it’s the perfect fit for me. Talent amongst kids today is unmatchable and there is always a lot to learn from them while their innocence keeps you entertained." Her motherhood has helped her master the art of dealing with children says the actress , "I have a son who is 4 years old and my experiences as a mother have changed my perspective towards kids. Their intentions are very pure and it's wonderful to be around them. I am looking forward to being on India’s Super Dancer and I am sure people will love it too." Revel In The Magical Moments With ‘GiMA Rewind’ This Sunday! presented their renditions of some of his hit songs like ‘Dil Hai Chota Sa’, ‘Chanda Re’, ‘Mitwa’ and ‘Sadda Haq’ to name a few . The musical experience created by renowned Composer Pritam alongside his band at GiMA 2015 can be revived once again with the Rewind special. Last year also featured a special act by Sonu Nigam, Suresh Wadkar and Shankar Mahadevan, amongst others to pay a special tribute to Indian composer Anandji Virji Shah who received the Lifetime Achievement Award – Popular. Fans can truly rejoice as all these special moment have been made a part of this epic segment! 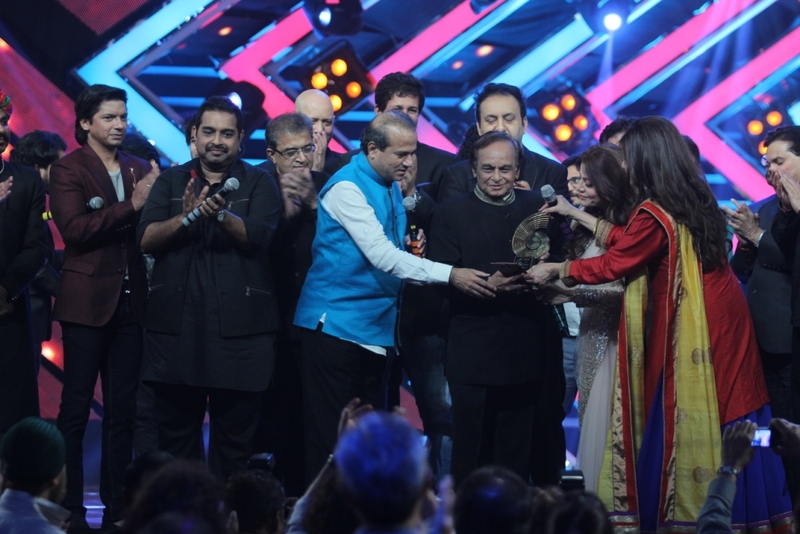 GiMA has given the Indian music industry a platform to celebrate and honor artistic achievement, technical proficiency and overall excellence in Indian music across various genres. So make sure you watch this unique segment presenting the very best of GiMA Rewind on Sunday, 29th May from 11am to 12 noon, only on Colors!